I had several check from Adsense, Clickbank, Amazon that I have deposited in HDFC, SBI, SCB. Let me share how to deposit USD check in Indian bank account. In the past, I had several check (or cheque) from Clickbank, Amazon, AWeber that I have deposited in my bank accounts in HDFC, SBI, SCB and recently in IDBI bank. Every Indian banks can clear USD check but some branch personnel are not aware of the process and so they can revert to you with an answer that you cannot deposit other currency checks in your account. If any bank’s any branch gives you such an answer, visit the main branch in your city and deposit the foreign currency check. I had SBI account in Kolkata Moulali branch and they were even fine dropping USD check in the drop box as well though I don’t prefer dropping USD check in the drop box. Let me share every details that you need to know to deposit USD check in Indian bank account. Local check issued to you from any bank in India, the process is the check should be sent for clearance to the issuing bank (now we have central clearance but just to understand the process) and once the issuing bank verifies the signature and performs the necessary check of availability of balance, allows the transfer of funds from the check issuer’s account to your account. The process remains the same for international checks in any other currency including USD. The check needs to be sent to the source bank for clearance and once approved, the amount will be credited to your bank account. If you look at one of my past Clickbank USD check, you can see that the check was issued by Wells Fargo Bank and so it was sent to Wells Fargo Bank in the US for clearance. Bank levies a courier charges for sending the check to the issuing bank and is commonly termed as check clearance charges. HDFC Bank charges vary on the amount of a check deposited and so charge for clearance $1000 will be higher than $200 (pretty stupid) and minimum charges are pretty high as well. Apart from that there are some other charges like some certificate issuance charges which were levied on some of my checks but not all. Can vary and there is no one who could tell the exact charges. In SBI, IDBI and Standard Chartered Bank it is a flat fee varying from ₹100 to ₹200. You can verify what will be the check clearance charges and if there are any other charges that you may need to pay. Even if you they have confirmed there will be no charges, you cannot do much once the charges are applied to your account. It’s a long process and can take 21 working days for the amount to become available in the bank account. You will not even see the check in clearance in your statements and so there is no way to know the progress of it. You need to have patience for almost a month without being able to see any progress of it. Never drop the check in the drop box and always submit the check at the counter and take the deposit slip counterfoil for future reference. The slip should be kept carefully till the check amount appears as available in your bank account for withdrawal. The deposit slip that you write should have the amount as USD and not INR. Always keep a xerox or a scan copy of the check deposited for reference because if anything goes wrong, you can refer to the details to your bank as well as can do a check stop payment from the issuer. Reverse of checks are watermarked and so you should not write on the backside of the check. There is a space provided on the back for writing and only use the designated space for writing things like your contact details or bank account number. If you have any more questions or queries regarding shoot them in comments below and I will be more than happy to help you. How did click bank accept you as affiliate. They were like no no to me lol. Can’t comment on why they have a no no to you. May be your site isn’t suitable for their products. Just my wild guess. They didn’t even ask about site etc. Couldn’t even register. Anyway I don’t mind now. Then it could be that they aren’t accepting affiliates from some GEO or your IP may have some issue. Again all are my wild guesses. I have no idea about ICICI but before getting an account in SBI or IDBI, check with the ICICI branch manager. I had an SBI account and I was able to deposit such cheque and encash them. If you have an account in a very remote branch, you will hear all such stories. Go for a main branch in your city and you may hear different kind of reply. As of now after I moved to Surat, I have closed down my SBI account and now I use either Standard Chartered or IDBI to deposit such cheque and encash them. It takes more than 30 days (or 21+ working days) to encash. IDBI has good forex rates and also they have a forex department where the cheque is sent by the bank and they do the clearance for you. 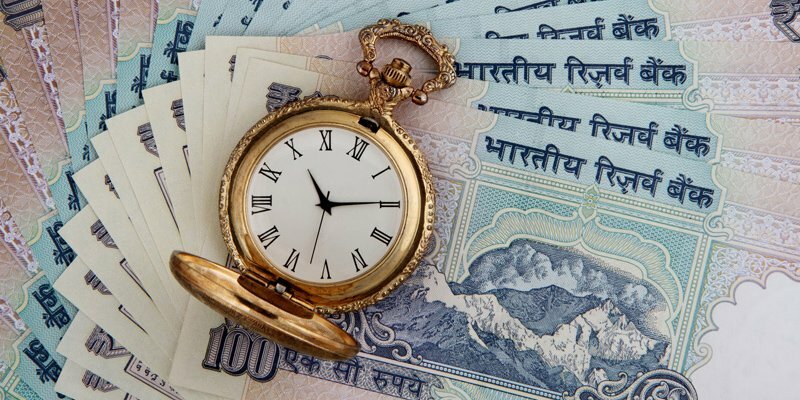 How An Indian Freelancer Can Set The Right Hourly Rate?